An EPOS system handles the processing of sales, totals and change in the retail environment. This often extends to stock control and reordering processes for the outlet as well as providing information for accounting purposes and tax returns. By providing all these functions an EPOS system can save time, highlight opportunities and weaknesses in your product lines and help you to make more money. It will protect against costly mistakes, provide a reliable audit trail and automatically handle all those discounts, loyalty points and special offers. We are an independent software house that writes and maintains it's own software. This enables us to fully customise our solution to our customers requirements. If you require branding, process management or bespoke software integration we are able to do them all. With our comprehensive database system our EPOS is capable of supporting large multi site retailers and small corner shops alike. Our software is easy to use and our live support means that you can always get the job done. Shore EPOS is capable of supporting small retailers and large multi site retailers alike. Initially developed for Garden centres our retail system is capable of supporting many thousands of products and all types of sale. It is suitable for trade and wholesale as well as general retail and even both at the same time. It can support loose goods, weighed goods, special goods, barcoded stock and restricted items. 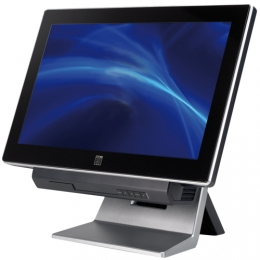 We also offer a resale and branding service to other EPOS providors who do not have their own Software capabilities. Call us to discuss your requirements.